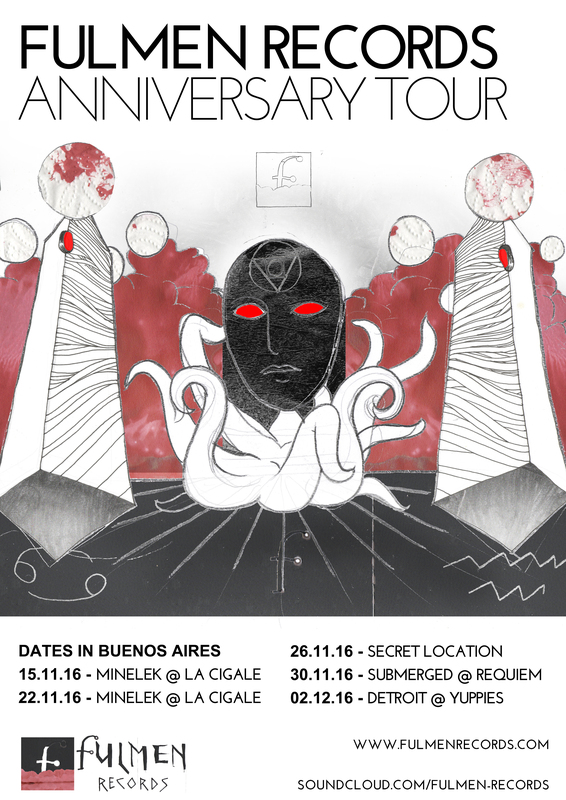 We celebrated the second Fulmen Anniversary with a series of events in Argentina where Utopyk & El Fulminador joined long term collaborators, friends and of course, played the best music in the world. First date and official Fulmen Anniversary Tour kick off, with a Techno DJ Set by El Fulminador at the well established Tuesday soiree in the legendary venue La Cigale. The line up also included Von Kleymont and Minelek’s resident Berger Muzik. Pictures of Minelek 15/11/16 at La Cigale by Lau Bacanal (Facebook Album). An electronic picnic with DJs from the most innovative labels in Buenos Aires. From 14:00 to 01:00, different DJ and B2B Sets provided the park with an Electronic & Tech House soundtrack. Second Fulmen date at Minelek in La Cigale, this time featuring a Tech House DJ Set by Utopyk Jones and also including Alejandro Duro and Berger Muzik in the line up. Pictures of Minelek 29/11/16 at La Cigale by Lau Bacanal (Facebook Album). 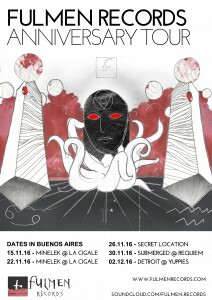 B2B Set by Utopyk & El Fulminador at the Submerged Techno night run by Diego Cid in the mythical Requiem club. A new academic intervention by Fulmen Records, at the art exhibition PuntoPawerPoint #02 in Pawer Belgrano, with works by Sandro Pacucci, DJ Sets by Utopyk & El Fulminador, spontaneous performances by La Sabandija and the video installation “Estrella muerta” by El Fulminador & Pequeña Muerte, part of the unreleased album “La nube eterna” to be published soon by Fulmen. Official closure night of the Fulmen Anniversary Tour at Dubmix, starting with a Warm Up set by El Fulminador, followed by the DJs KRZ, DJ Gus, Cecz and Mirlo.